You'll be £14.99 closer to your next £10.00 credit when you purchase Armoured Warfare in the Korean War. What's this? After the Second World War military analysts thought that the only place significant armoured forces were ever likely to confront each other again was in central Europe where the Nato alliance would fend off the Soviet Red Army. But then during the Korean War of 1950-53 large numbers of armoured fighting vehicles were deployed by both sides, and this neglected aspect of the conflict is the subject of Anthony Tucker-Jones’s photographic history. Korea, with its rugged mountains, narrow passes, steep valleys and waterlogged fields. was not ideal tank country so the armour mainly supported the infantry and rarely engaged in battles of manoeuvre. Yet the wide variety of armour supporting UN and North Korean forces played a vital if unorthodox role in the swiftly moving campaigns. For this fascinating book over 180 contemporary photographs have been selected to show Soviet-built T-34/85s and Su-76s, American M4 Shermans, M26 Pershings and M46 Pattons, and British Cromwells and Centurions in action in one of the defining conflicts of the Cold War. The new title from pen and sword ‘Images Of War’ series takes a look at some of the many vehicles to be involved in the Korean war on all sides. As such there’s a good section of tanks, afvs and other military vehicles scattered across the book, interspersed with a fascinating collection of images that tell the tale on this almost forgotten war. 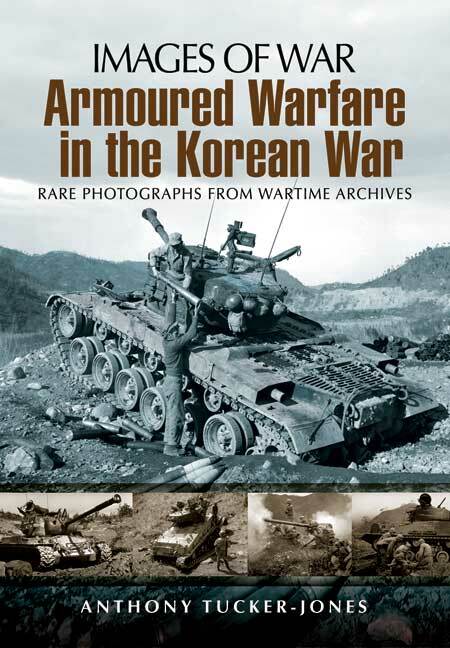 You’ll find photos of British centurion and Cromwell, American Sherman, Patton and Pershing and an assortment of Russian equipment used by the enemy, but it was worth nothing that there are a few images that a re in the book that are ‘examples of’ and not photographed during the Korean war. The amount of equipment covered within the book is varied enough to appeal to a wide audience. All of the images contained within this fine book in black and white, but the quantity and quality of those images makes it well worth the cover price and at just £14.99 its worth taking a look at.